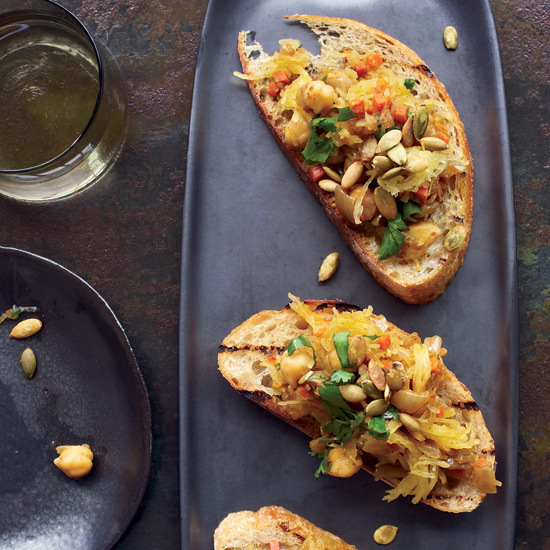 We've simplified these incredible chef recipes to take out the hard work—without sacrificing on the flavor. 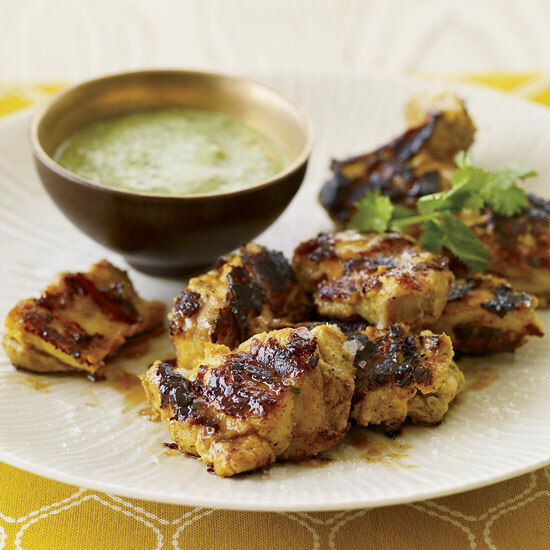 The flavorings in the vibrant marinade for this grilled chicken by Vikram Sunderam include pathar ka phool (a hard-to-find seasoning made from bark), deghi mirch (an Indian red-chile powder) and mustard oil. Instead, omit the pathar ka phool and deghi mirch and use mustard seeds in place of the oil for a similarly pungent, wonderfully savory marinade. To fill this sandwich wrap, Ana Sortun coats chicken thighs with a lengthy list of spices that includes allspice and nutmeg, then braises them in beer and garlic. An easier way is to rub chicken thighs with the spice mix and roast them in the oven (no beer necessary). Bruce Sherman places crabs and pancetta on small rounds of brioche slathered with homemade remoulade (mayonnaise mixed with mustard, capers, cornichons and herbs). 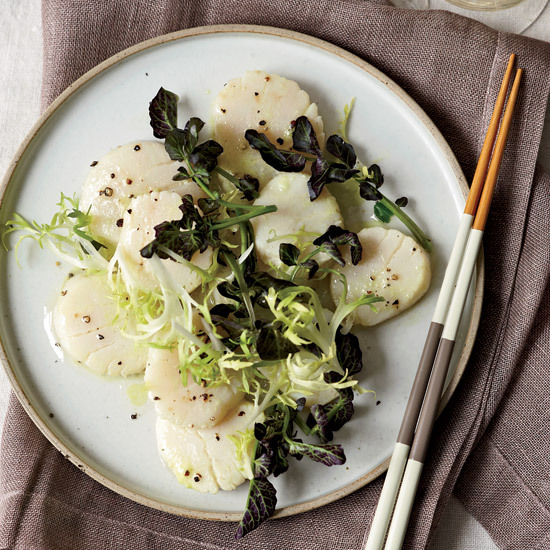 He then sprinkles them with bits of hard-boiled egg and dresses the plate with a caper-brown butter sauce. 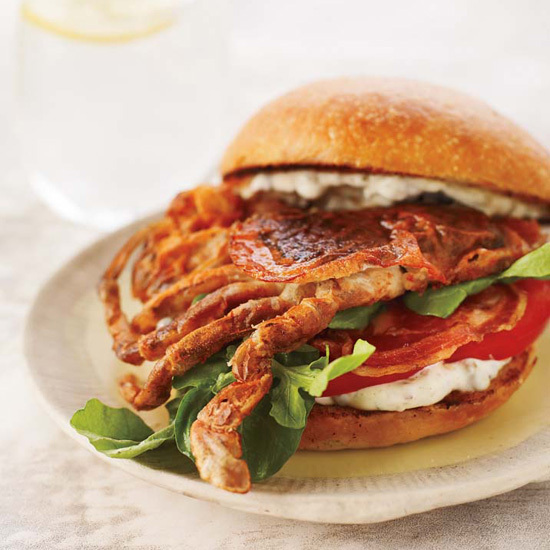 For a simpler version, prepare hefty soft-shell crab sandwiches by layering salty slices of pancetta, slabs of tomato and a remoulade made with store-bought mayonnaise. 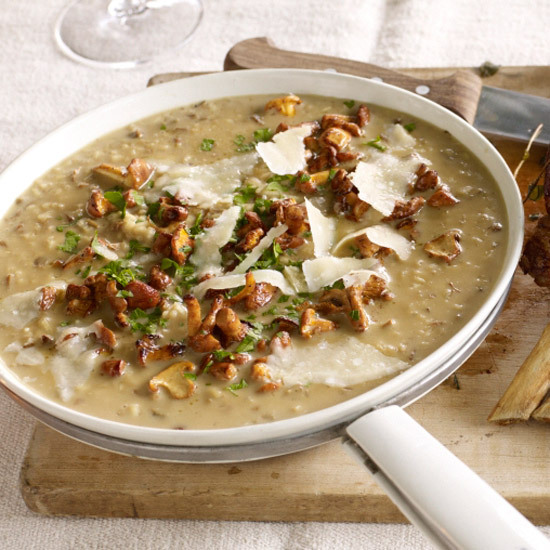 Skip the fancy plating, omitting the eggs and the butter sauce. Ana Sortun tops stuffed zucchini with a tangy sauce of feta, olive oil and Hungarian peppers (spicy wax chiles). 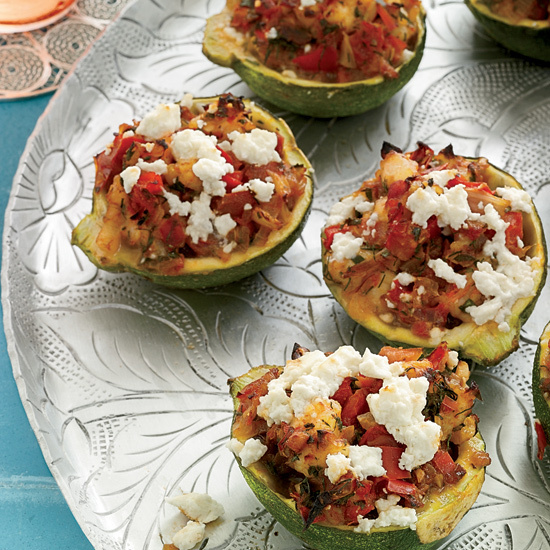 For an easier preparation, top the roasted zucchini with a little feta, then broil briefly. John Besh prepares mini meat pies with house-made dough and a rich, spiced filling of beef, pork and chicken liver sautéed in duck fat. 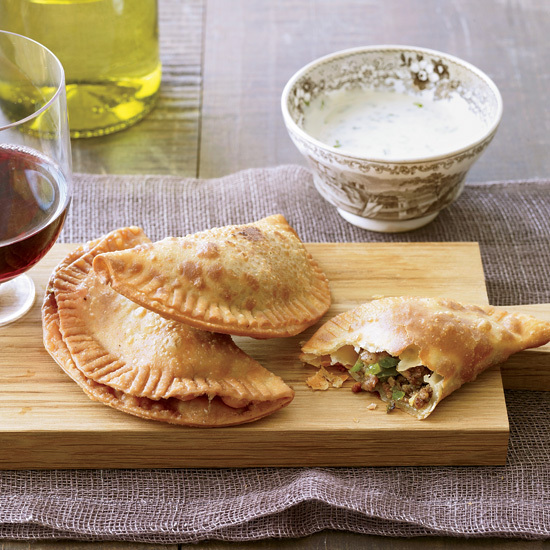 A meat-pie shortcut for the home cook: Use store-bought empanada dough instead of making your own. And instead of using duck fat to sauté the meat filling, use butter—it's a perfectly fine substitute and much easier to find. Chris Cosentino adds briny flavor to his pasta with cured tuna heart. He shaves it on right before serving. 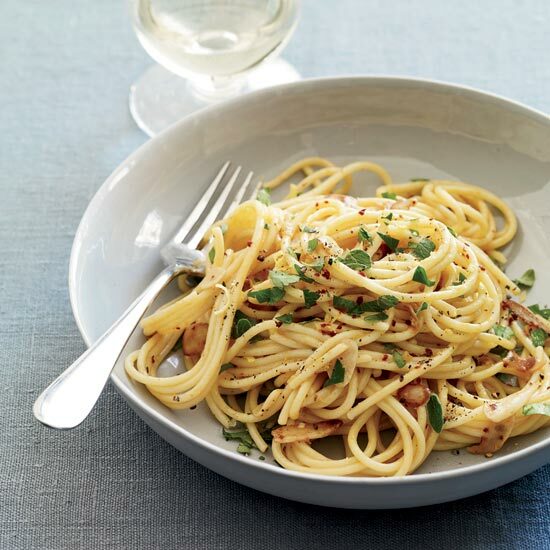 This simplified version of his recipe calls for anchovies, rather than the tuna heart Cosentino uses. Egg yolks form a silky sauce. 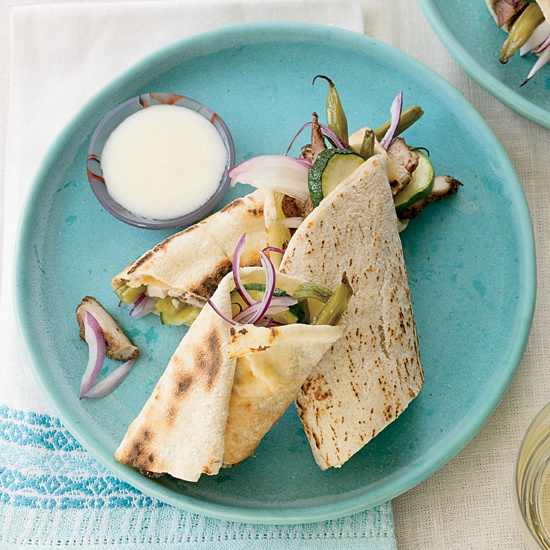 Donald Link makes his own mayonnaise for this delightfully creamy blue cheese dressing. 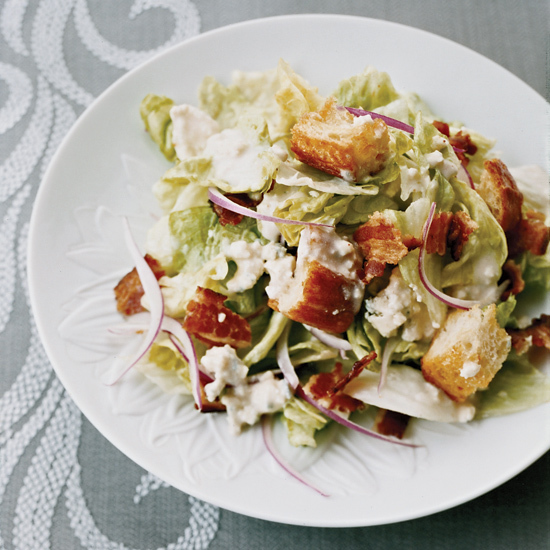 Here's a shortcut: Use prepared mayo in this easy-to-eat version of the classic iceberg wedge salad. 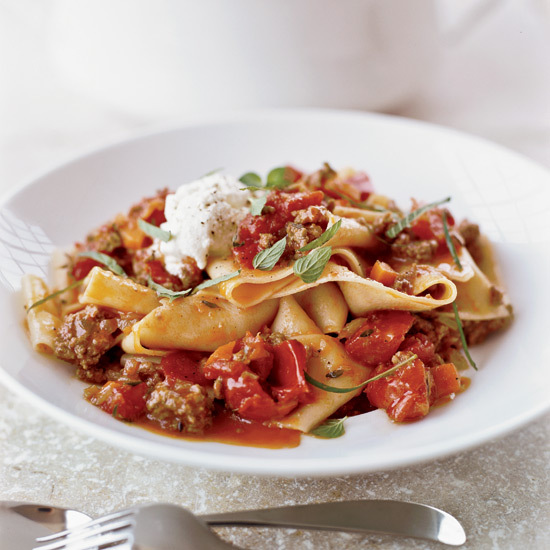 Andrew Carmellini serves fresh pappardelle with a ragù of house-ground lamb shoulder cooked in lamb stock. He finishes the dish with fresh ricotta and chopped mint. An easier way is to use store-bought pappardelle, ground lamb and chicken stock, then top the dish with fresh ricotta and mint. Corey Lee uses big-fin squid, a rare type imported from Japan. It's much thicker than ordinary squid and has a very fresh, briny flavor. 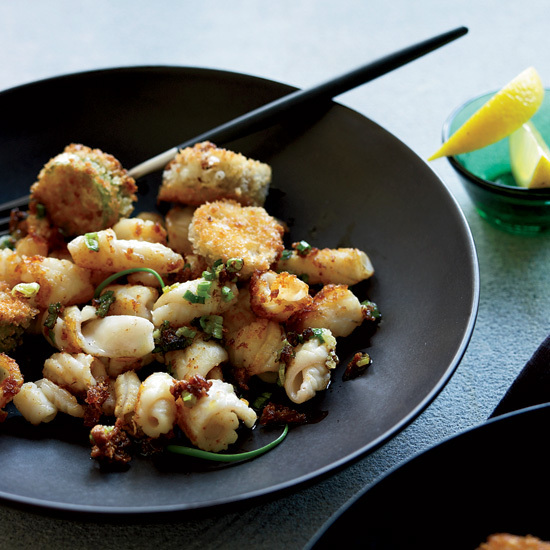 Instead of big-fin squid, buy squid from any fishmonger and score it with a sharp knife like Lee does; this will help it cook quickly and evenly in the pan, keeping it tender. David Bouley serves eggs en cocotte with three puree—fennel, sunchoke and polenta—plus Comté foam. 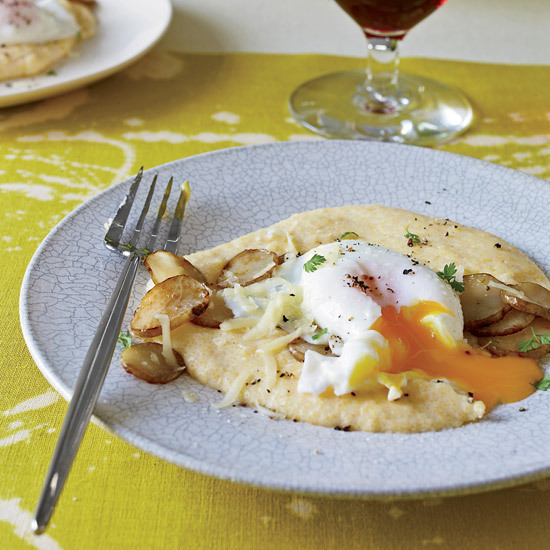 Home cooks can pair baked eggs with cheese polenta, evoking Bouley's Comté foam with polenta puree. 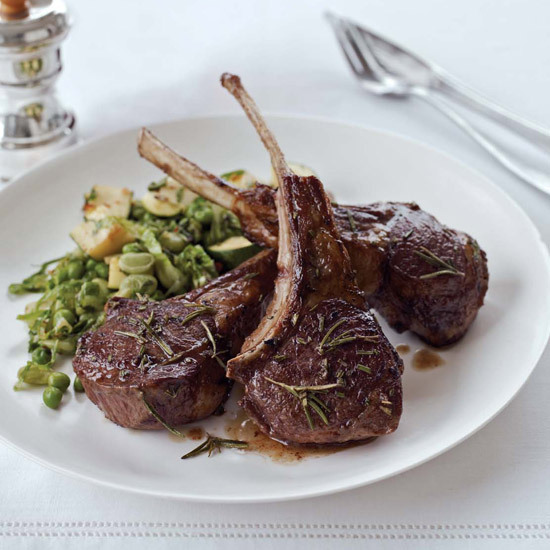 Star TV chef Lidia Bastianich tops lamb chops with a rosemary-mint sauce. A shortcut: Skip the sauce for the lamb chops; instead, rub rosemary onto the chops before they're seared. 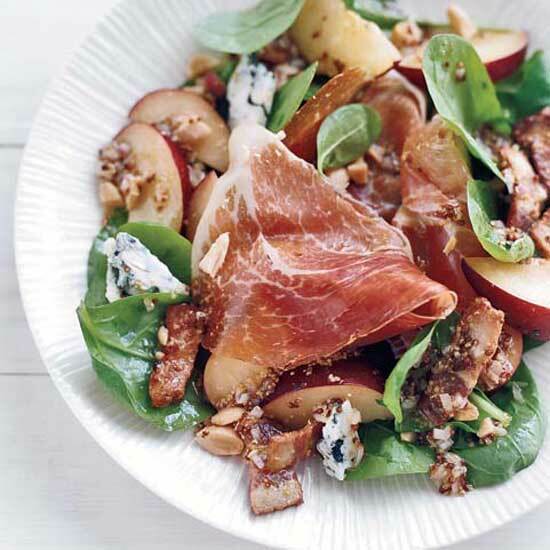 Jose Garces uses a multistep process to prepare the dressing for this salad which includes letting chopped shallots soak up the flavors of mustard, thyme and vinegar before mixing them with olive oil. Instead, start the salad dressing in a skillet (no marinating involved), then finish it in a bowl with all the other ingredients. Chris Bianco’s custom-built wood-burning oven heats up to 800°. 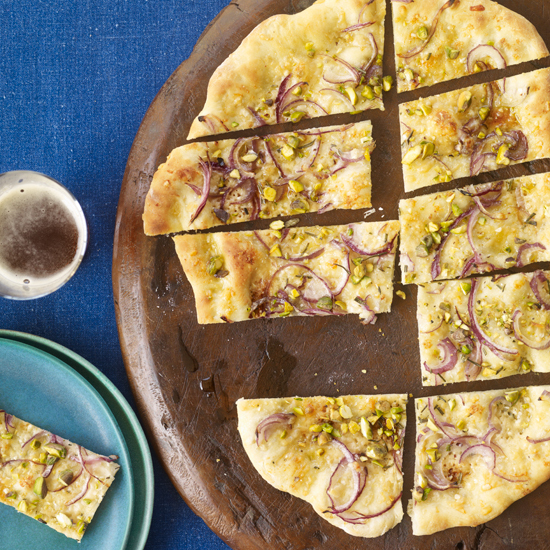 For home cooks, preheating a pizza stone in a 500° oven before baking the pizza creates a charred, crisp crust. Pastry chef Chris Broberg serves this luscious pudding in a chocolate-coffee tuile alongside figs in port and candied orange peel, among other sweets. 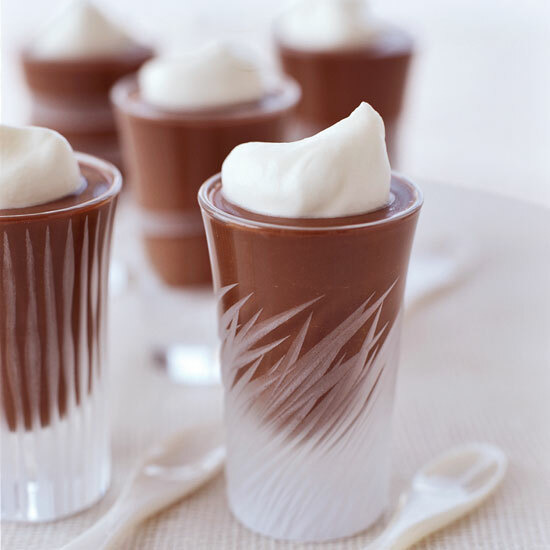 Home cools can forget about all the other components and serve the lush, intensely chocolaty, easy-to-make pudding on its own. 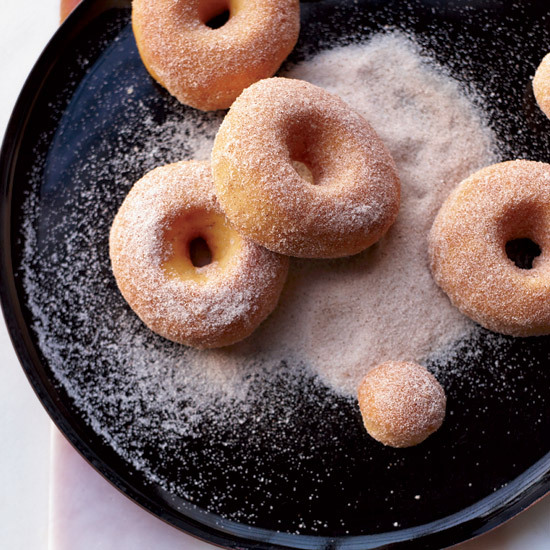 Baking doughnuts and tossing them with a little butter, cinnamon and sugar makes them healthier than fried doughnuts. The sweet potato in the dough adds a lovely, earthy note. 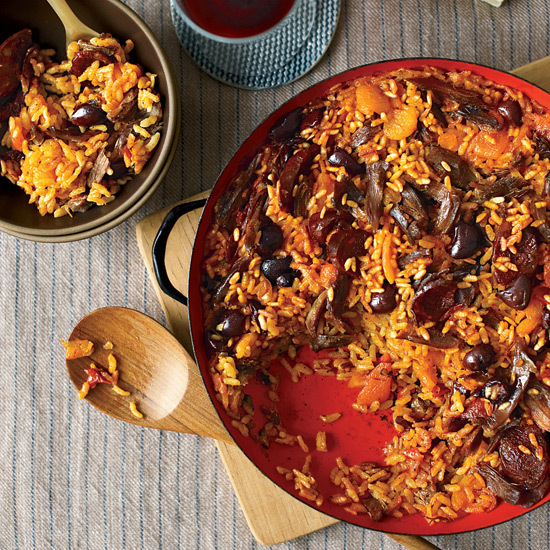 Breanne Varela says: "I love chef Suzanne Goin's sweet potatoes with bacon, so I imitated those flavors." For his labor-intensive Candy Bars, Alain Ducasse makes hazelnut glaze and caramel pastry cream. 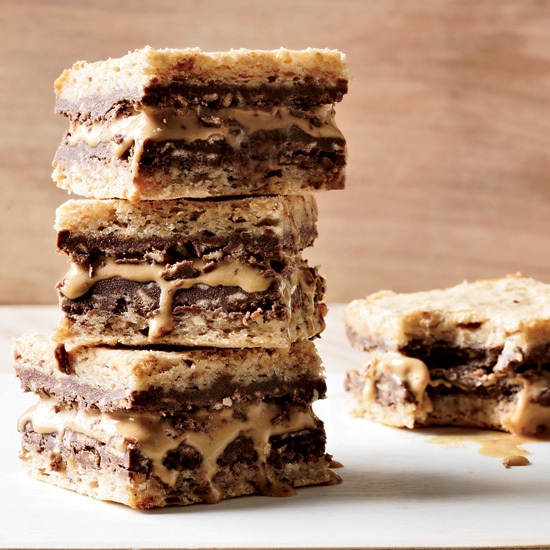 Home cooks can use store-bought ice cream and Nutella for a simpler version.